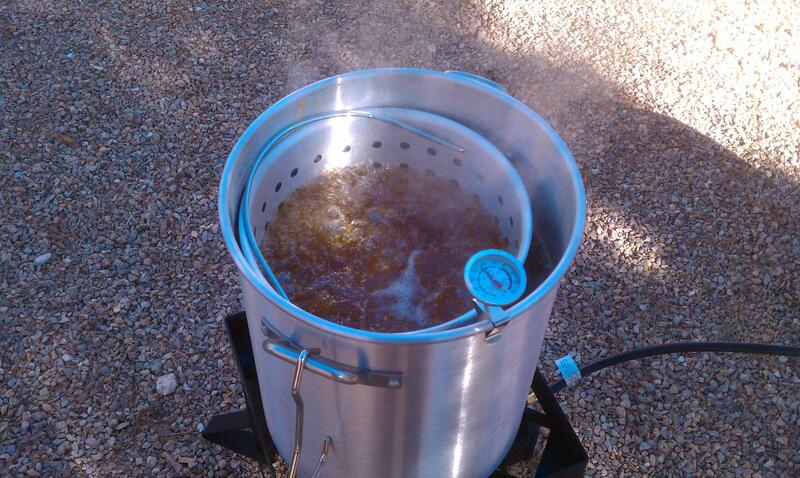 It's that time of year again and it's time to deep fry a turkey, or two. Although I've been known to go off the beaten path with a second turkey in order to try something new, this is my recipe and how I go about doing it every time. Done right, it's safe and it's hard to beat with an oven cooked turkey. Here's what you need. First thing to do is get yourself a turkey. Likely, it's going to be a frozen one unless you're lucky enough to go chase one down. Try to aim for something in the 12 pound range. Going too large will result in an uneven cook - meaning the outside will cook too much compared to the inside which you need to bring to the right temperature. Keep that thing frozen until it's time to start thawing in the refrigerator. You have to plan ahead for this. The Turkey Thawing Chart is a good indicator for how long you're going to need to thaw the turkey in the refrigerator and it's usually pretty accurate depending on the turkey size and temperature of your refrigerator. If this is your first time, before you unwrap the turkey, it's time to do a submersion test to figure out how much oil you need to saturate the turkey. 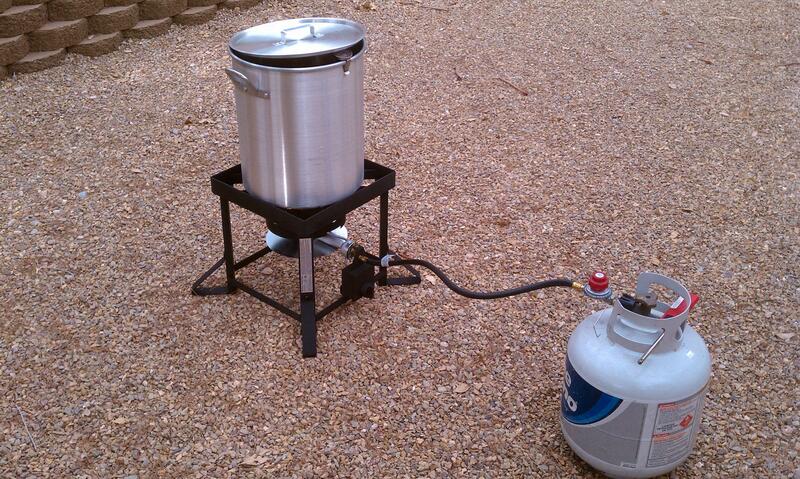 So, fill up your boil kettle with water and put the turkey in. Find the right balance where your turkey is submerged and you're well below the top of the kettle. Mark off how much water you used so you know how much oil to use. Dump out the water. After the turkey is thawed, and that is important, it's time to prep it and season it. First thing to do is remove the packaging and get rid of anything stuffed inside the turkey. Cut off any loose skin and parts. I usually cut off the tips of the wings with some kitchen scissors - they will burn anyway. Carefully peel the skin from the breast without tearing it with a spoon. Then, use that same spoon to shove some seasoning in between the skin and the breast. Be careful when doing this, but it will pay off. Put your oil in the kettle and fire up the burner. Set the burner off away from any structures and preferably away from anything that can possibly catch fire from splattering oil. Also, move your propane tank as far away from the kettle as you can. Don't walk between the kettle and propane tank. It usually takes me somewhere between 3 and 4 gallons of oil with the kettle pictured. Get the oil to almost 375F, but no more. When you put the turkey in it will drop drastically and here you want to keep the temperature for the rest of the cook at around 350F. Speaking of oil, my favorite is peanut oil - high smoking point and good tasting. Slowly put the turkey in. By slow, I mean real slow. Put it down a bit, and lift back up if you need to. Eventually, when the turkey is completely in, monitor the temperature and keep it cooking until the breast internal temperature is 150F. This will usually take around 45 minutes, but don't go by time - go by internal temperature. 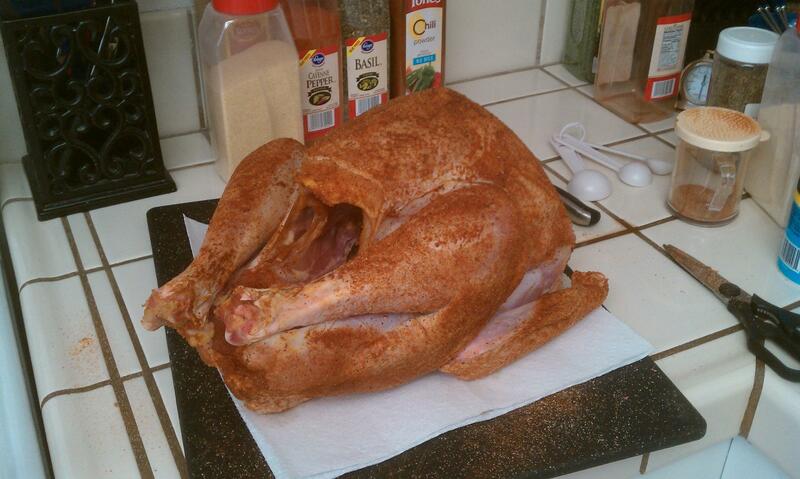 Once you take the turkey out, let it sit for about 20 or 30 minutes before cutting into it. I usually cover it with aluminum foil while it sits. This will let the juices distribute and it will finish cooking.